My brother-in-law's wife -- but to make it easier, my sister-in-law -- and I checked out a new place in town for a dinner date recently. It's called The Brasserie, and it has the kind of atmosphere that makes you feel comfortable, instantly. 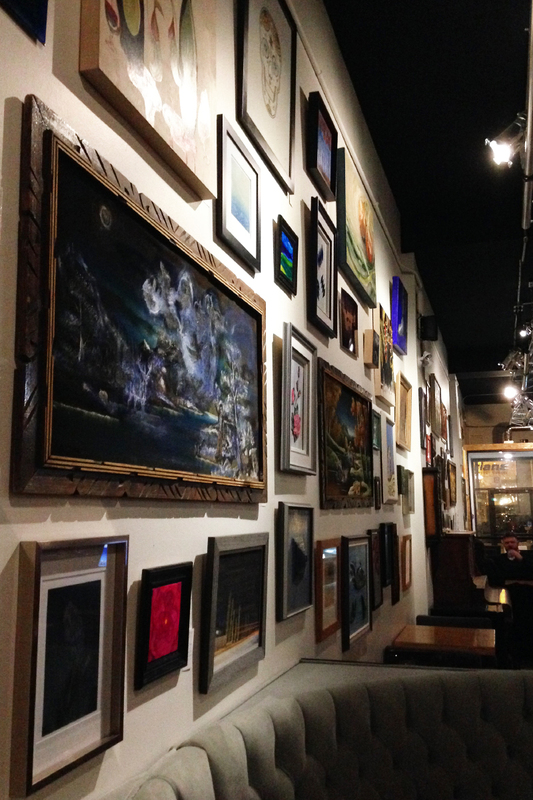 The amazing art on the wall -- which is by local artist, and all for sale -- the cozy booths, and the eclectic mixture of tables and chairs makes the restaurant feel homey, and the staff makes you feel good about staying to visit -- even after your food has long been devoured. We will definitely be going back again. 52 Books: Herve Tullet's Help! We Need A Title!